A Christmas Prince: The Royal Wedding (film, 2018). A 2018 American Christmas romantic comedy film by Netflix. Directed by John Schultz. Official Trailer. A Christmas Prince: The Royal Wedding is a 2018 American Christmas romantic comedy film directed by John Schultz. 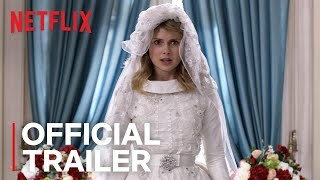 A Christmas Prince: The Royal Wedding | Official Trailer | Netflix. One year after the events of the first film, Amber and Richard are still happily engaged. At Christmas time, Amber and her father, Rudy, travel to Aldovia to plan Amber's wedding. Amber continues to blog about royal life with Richard. Amber becomes overwhelmed with the dictatorial traditions of royal protocol and lack of control over her own wedding, which is controlled by the flamboyant designer Sahil and Mrs. Averill, as Richard struggles with the failing implementation of his Aldovian economic revitalization program, the New Aldovia initiative, which is mysteriously hemorrhaging money from the monarchy as unemployment and low wages afflict the increasingly discontent populace. To assist in the economic efforts, Queen Helena brings in Lord Leopold to assist Richard, as Leopold had been planning aid efforts with Richard's late father. Meanwhile, Simon, impoverished due to his divorce from Sophia, also returns to beg to be brought back into the palace; a resentful Richard reluctantly accepts, as Simon is family. Amber and Richard's relationship grows strained as Richard becomes increasingly distracted with royal demands, and Amber refuses to kowtow to Mrs. Averill's strict guidelines. After Princess Emily's play is cancelled due to a strike by governmental workers, Amber hosts the play at the palace. While the move was well-received, Amber becomes furious when Mrs. Averill takes down posts from her blog about the affair due to their casual nature, and is further enraged when Sahil and Mrs. Averill demand she remove her locket (containing her late mother's photo) for a royal portrait. Principal photography began in May 2018 in Romania. 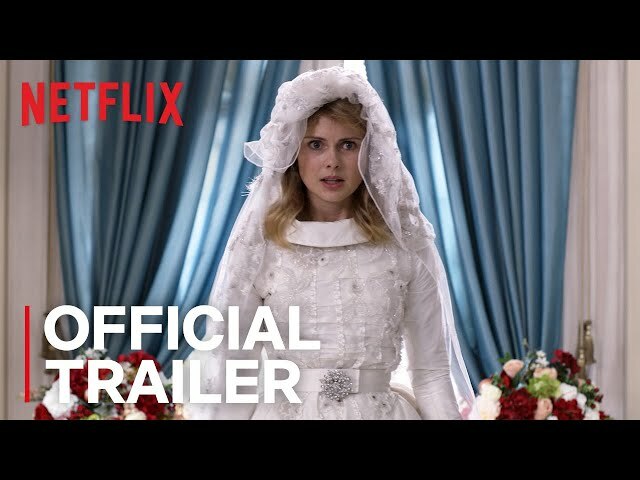 The film A Christmas Prince: The Royal Wedding was scheduled to be released by Netflix on November 30, 2018. A Christmas Prince: The Royal Wedding got average rating from critics. The audience dislikes the film either.